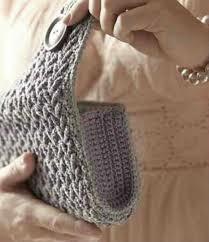 Have you wanted to make a clutch purse but haven’t been sure about attaching the purse frame. 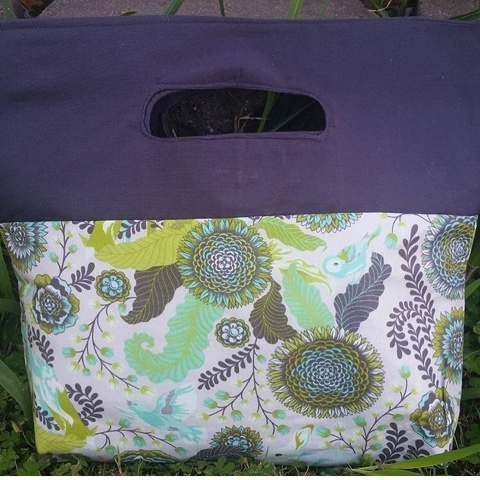 With my recent pattern the Maddie Clutch a few of my testers said they weren’t sure how to attach it either and it was a little scary for them. They are actually pretty easy once you get the hang of it. Well I finally got around to editing the video tutorial and here it is. I’d love to know what you think. 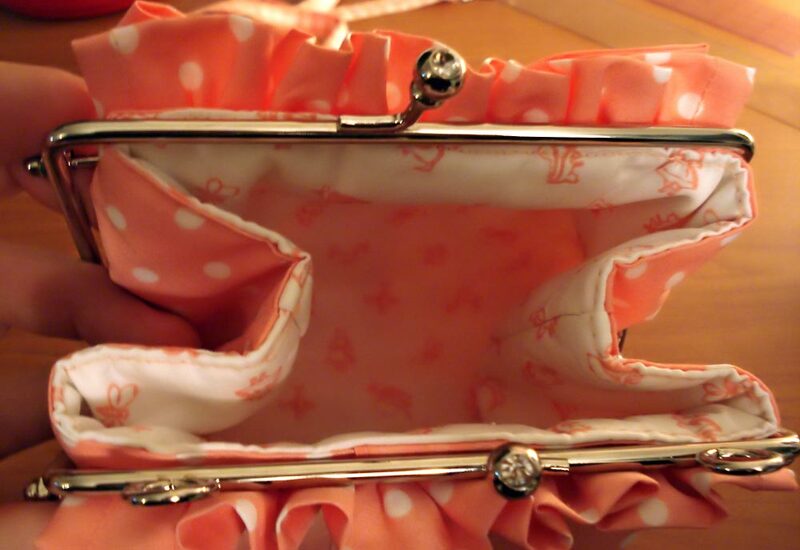 how to attach a purse frame from Amy Wyhoon on Vimeo. 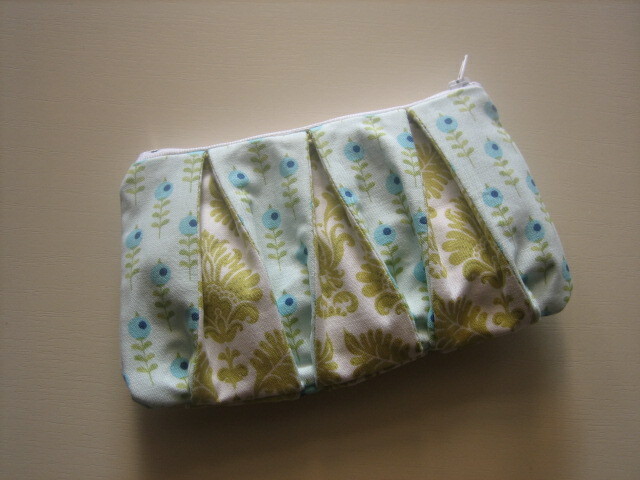 If you want to try making this clutch yourself, you can find the pattern here in my Craftsystore. You can also join my fb group here. This entry was posted in Amy on April 20, 2016 by Amy. This is my first pattern for 2016. I’m really excited about this one and hope you love it too. 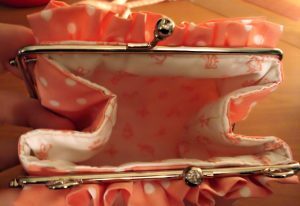 Inspired by my love of clutches and purse frames I wanted to create something a little different. You can find the pattern here. 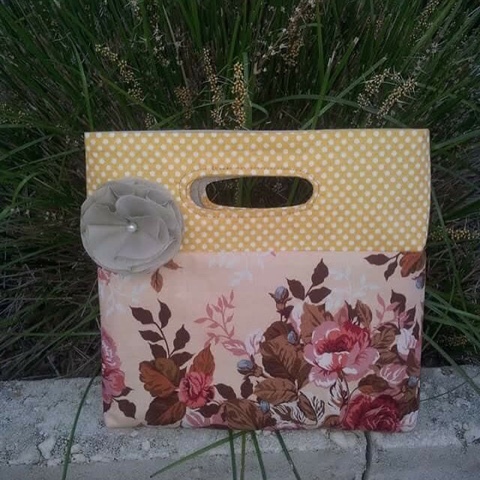 Designed for a confident beginner and only uses 2 fat quarters, some fusible fleece and a purse frame. I’d like to say a massive thank you to my wonderful testing team for turning around such stunning clutches in a short time frame. Alisha from Yellow Birdcage whipped this Maddie up super quickly and what a lovely job she did. Look at that fussy cutting. 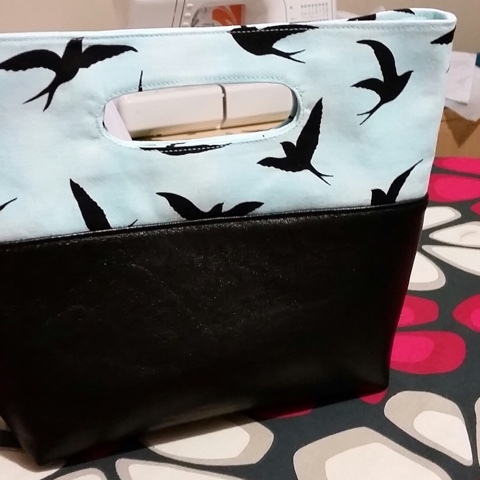 Rachael from Sew Today Clean Tomorrow has created a rather pretty Maddie Clutch that would definitely make a cute party bag. 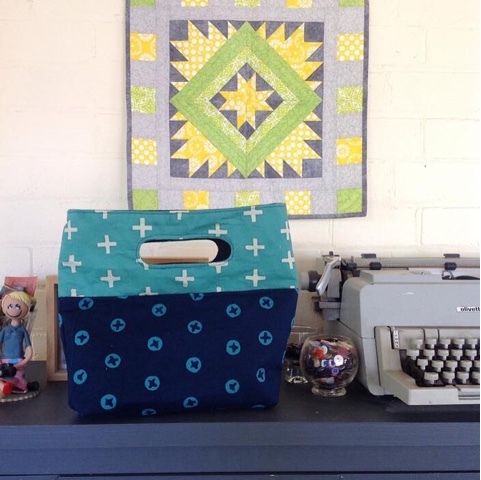 You can see more of Rachael’s sewing here. Lynne took an elegant approach with her Maddie. The perfect accessory to any outfit. 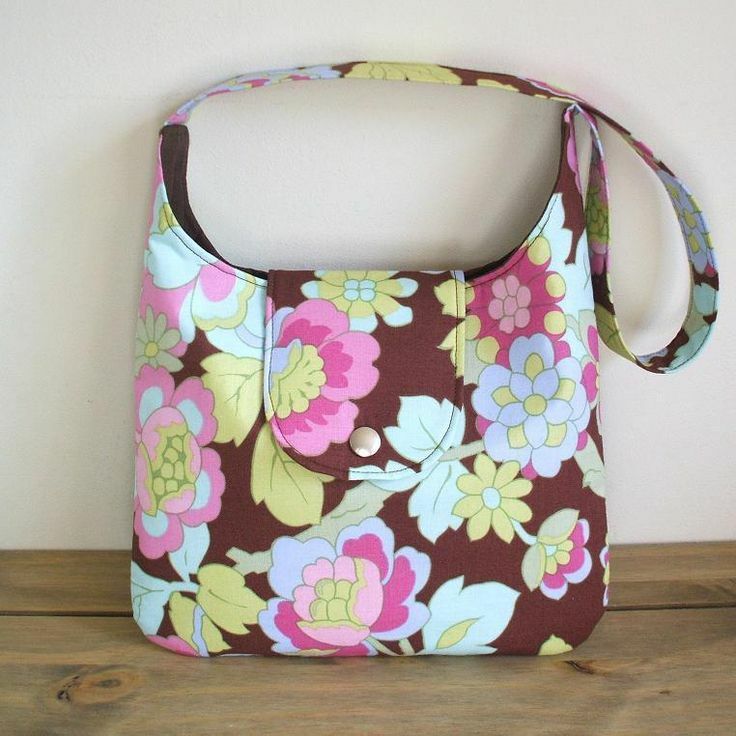 You can see more of Lynne’s bags at Bags by Lynwam and here. 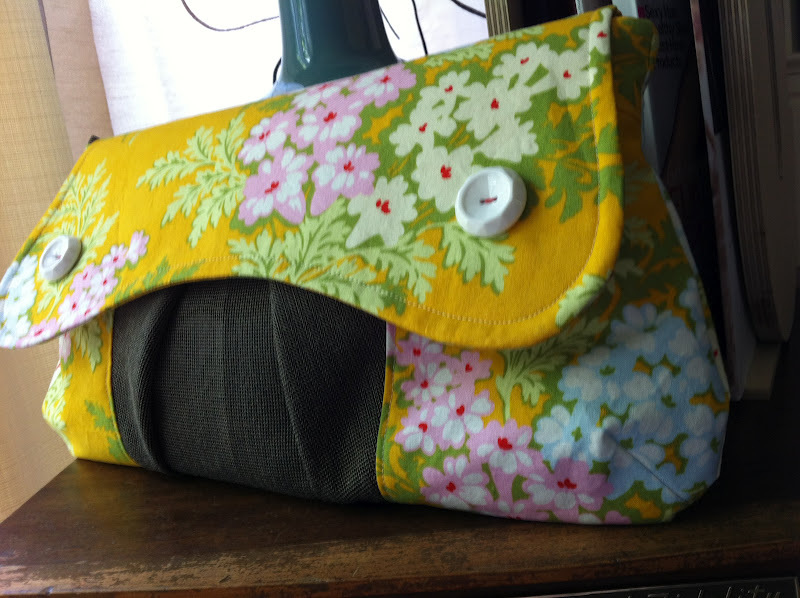 Stephani created this funky Maddie Clutch and I think it looks fabulous. And as it’s my birthday today and my sons on the 29th I’m releasing it at a discounted price until the end of February! 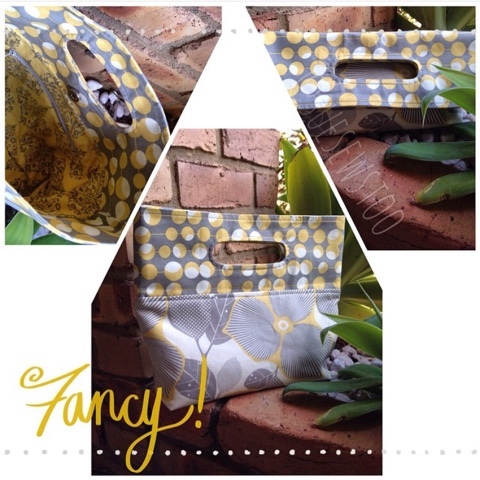 You can find the Maddie Clutch pattern on Craftsy hereand if you are after purse frames the lovely Kylie from Handbag Hardware Oz has them in stock. 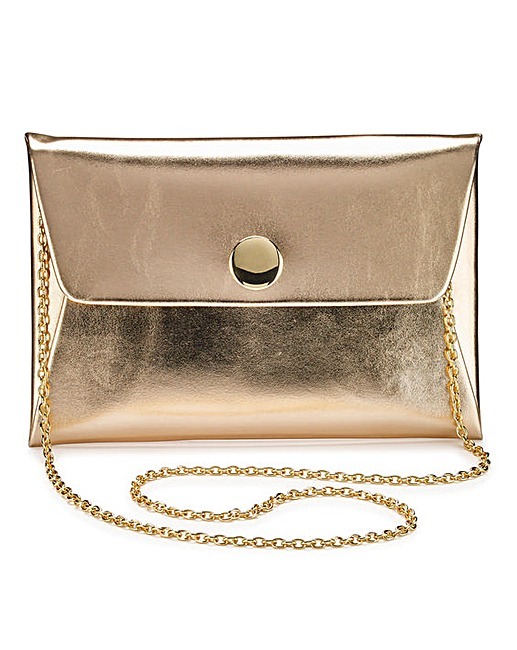 I can’t wait to see lots of Maddie Clutches out there! 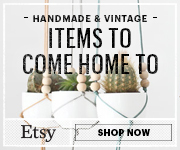 This entry was posted in bags on February 27, 2016 by Amy. Wow it’s been too long. I’ve been busy working in my new job as well as behind the scenes planning for some super exciting times ahead for L&D. 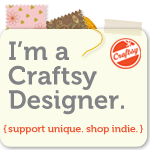 If you’re here because you want to make amazing bags that’s awesome, me too and I look forward to seeing yours. You can keep up to date with new releases over on fb here 🙂 and of course right here on the blog. 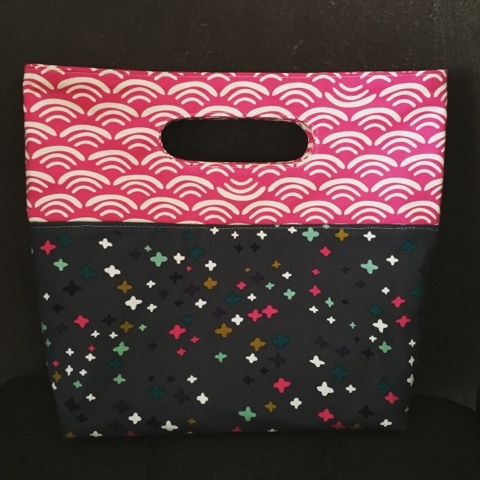 Before I go and release the first pattern for 2016 which might I just say is super cute and stylish and I hope you love it as much as I do….I’ve finally put a tutorial together to add grommet handles into the Emma Clutch Tote. If you haven’t got this pattern yet you can find it here or in the shop. Here’s my little hack! 2. Place the fabric pieces right sides together and sew the side seams to make a tube. 3. Clip the seam ends and make a notch in the middle of the seam allowance on each side. Press seams out. 4. Turn the tube inside out to fold it in half. Wrong sides should be together. Top stitch ¼” around the folded edge. 5. Measure 1” from the top edge centred (folded edge). 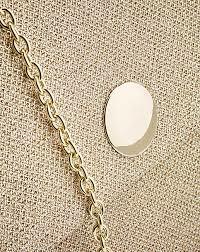 Place the handle grommet in position and using a fabric marker trace around the centre of the grommet. 6. Cut this hole out a little bit bigger than the markings. 7. Position the front of the grommet in place and attach the back to the inside securing it with the prongs or screws depending on your grommet. Until next time, happy bag making! 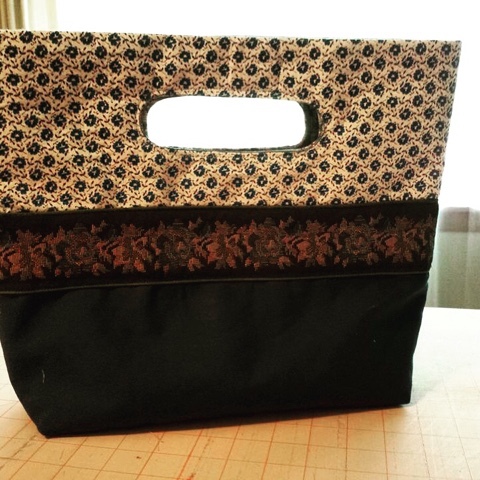 This entry was posted in sewing, tutorial on January 25, 2016 by Amy. 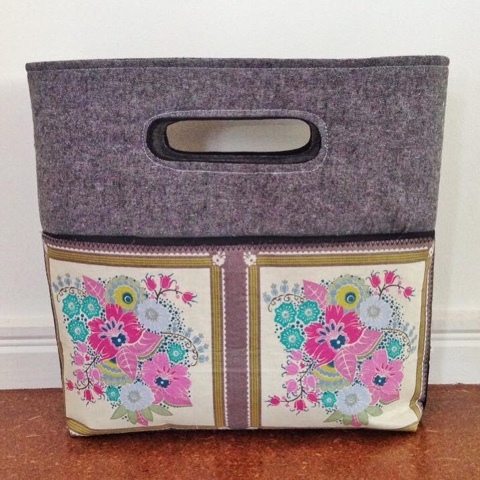 This tutorial originally appeared on And Sew We Craft. I’ve been looking for ideas for end of year teacher gifts and I thought this could be a perfect gift for my boys teachers. 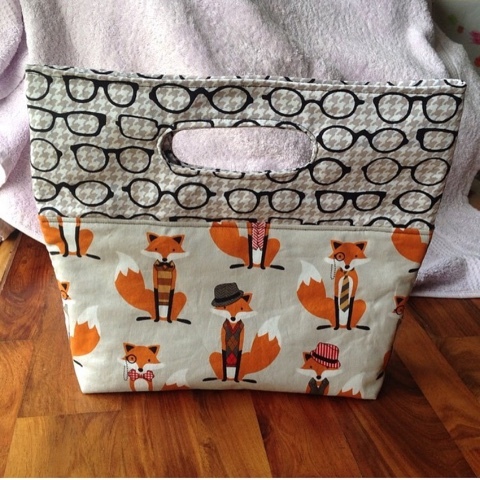 This entry was posted in sewing, tutorial on October 11, 2015 by Amy. 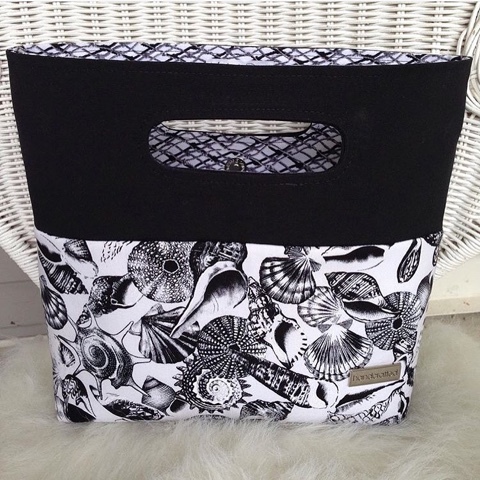 Last month the lovely Rachel from Barefoot Crafter helped me host a sew along for my very first bag pattern. 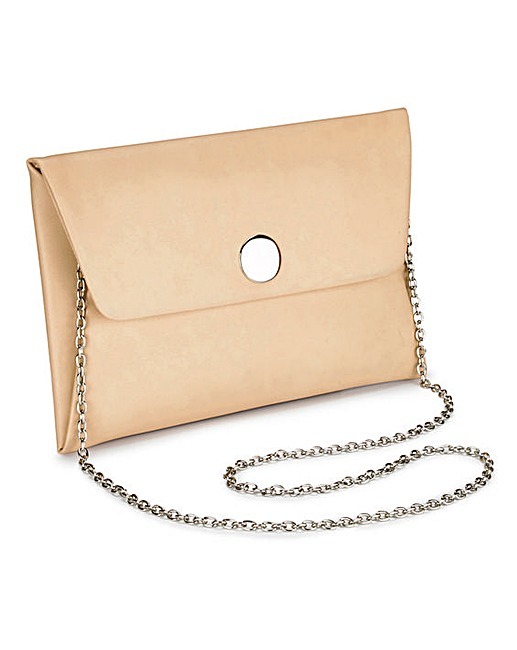 The Emma Clutch Tote! 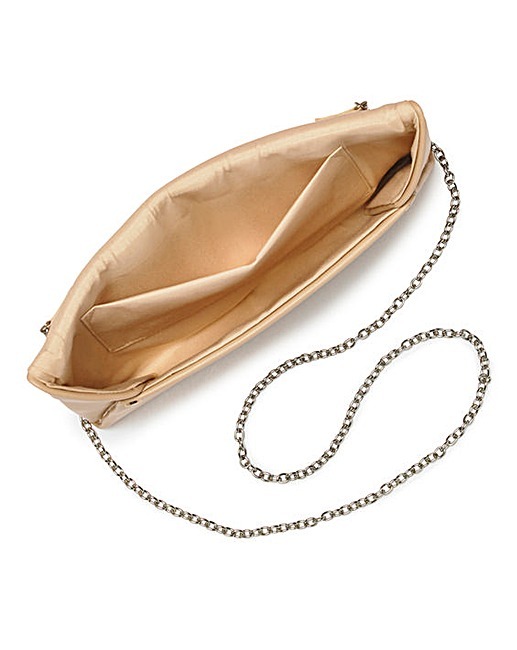 I love this bag as it’s a two in one, a clutch and a tote. It’s quick to make where the cutting and interfacing is the most time consuming. I love that she’s versatile and shows off your favourite fabrics. A big shout out to all those that joined in the sew along this time, I hope you had as much fun as I did and look forward to the next one! This entry was posted in Amy on September 14, 2015 by Amy.